The La Quinta Inn & Suites Lubbock North has been awarded the 2017 TripAdvisor Certificate of Excellence award The La Quinta Inn & Suites Lubbock North makes traveling a breeze, not to mention comfortable. We also feature modern amenities like flat-screen televisions, newly upgraded ultra-high speed internet access as well as Tempur-PedicTM and pillow-top mattresses. You'll also enjoy a Free Bright Side BreakfastTM each morning. Take a refreshing swim in the heated indoor pool, relax in the whirlpool, or work out in our convenient onsite fitness center. In addition to free high-speed wired and wireless Internet access, each of our spacious guest rooms includes a coffee maker, hairdryer, iron w/ironing board, work desk with extra outlets and more. Take advantage of our ample meeting space for your next business meeting or social event. 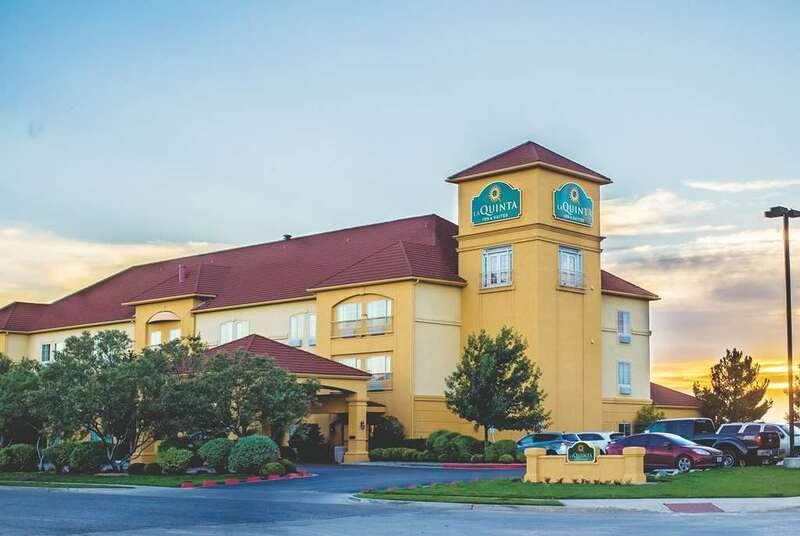 The La Quinta Inn & Suites Lubbock North is located near several popular area attractions and restaurants including being less than 10 minutes to Texas Tech campus.